Traducción al inglés del artículo de James Ramey “La resonancia del exilio y la conquista en el cine indigenista mexicano”. In: Claudia Arroyo, James Ramey, Michael Schuessler (eds.). México imaginado: Nuevos enfoques sobre el cine (trans)nacional. México D. F.: CONACULTA y UAM, 2011, pp. 117-158. Palabras clave: traducción, James Ramey, Tepeyac. Abstract: English translation of the article by James Ramey “La resonancia del exilio y la conquista en el cine indigenista mexicano”. In: Claudia Arroyo, James Ramey, Michael Schuessler (eds.). México imaginado: Nuevos enfoques sobre el cine (trans)nacional. México D. F.: CONACULTA y UAM, 2011, pp. 117-158. Keywords: translation, James Ramey, Tepeyac. Resumo: tradução do artigo de James Ramey “La resonancia del exilio y la conquista en el cine indigenista mexicano”. In: Claudia Arroyo, James Ramey, Michael Schuessler (eds.). México imaginado: Nuevos enfoques sobre el cine (trans)nacional. México D. F.: CONACULTA y UAM, 2011, pp. 117-158. Palavras-chave: tradução, James Ramey, Tepeyac. ARREDONDO, Isabel. Motherhood in Mexican cinema, 1941-1991: The Transformation of Femininity on Screen. Jefferson, North Carolina: McFarland and Company, 2014. AYALA BLANCO, Jorge. La aventura del cine mexicano en la época de oro y después. Mexico , D.F. : Grijalbo, 1993. CUSTEN, George F. Bio/Pics: How Hollywood Constructed Public History. New Brunswick: Rutgers University Press, 1992. DE LOS REYES, Aurelio. Filmografía del cine mudo mexicano, 1896-1920. Mexico, D.F. : UNAM, 1986. _____. “The Silent Cinema”. In: Paolo Antonio Paranaguá (ed.). Mexican Cinema. London: British Film Institute, 1995, pp. 63-78. GARCÍA RIERA, Emilio. Breve historia del cine mexicano: Primer siglo 1897-1997. Mexico, D.F. : Ediciones Mapa, 1998. GREENBLATT, Stephen. “Introduction”. In: Stephen Greenblatt (ed.). New World Encounters. Berkeley: University of California Press, 1993. _____. Marvelous Possessions: The Wonder of the New World. Chicago: University of Chicago Press, 1992. GUNNING, Tom. “Film History and Film Analysis: The Individual Film and the Course of Time”. In: Wide Angle, vol. 12, n. 3, 1990, pp. 4-19. LÓPEZ, Ana M. “Early Cinema and Modernity in Latin America”. In: Cinema Journal, vol. 40, n. 1, 2000, pp. 48-78. MORENO CHÁVEZ, José Alberto. Devociones políticas: cultura católica y politización en la Arquidiócesis de México, 1880-1920. México, D.F. : El Colegio de México, 2013. NICHOLS, Bill. “The Ethnographer’s Tale”. In: Lucien Taylor (ed.). Visualizing Theory. New York: Routledge, 1994. RAMEY, James. “La resonancia de la conquista en Janitzio”. In: Revista Casa del Tiempo, vol. 3, n. 30, 2010, pp. 54-57. _____. “La resonancia del exilio y la conquista en el cine indigenista mexicano”. In: Claudia Arroyo, James Ramey, Michael Schuessler (eds.). México imaginado: Nuevos enfoques sobre el cine (trans)nacional. México D. F.: CONACULTA y UAM, 2011, pp. 117-158. RAMÍREZ BERG, Charles. The Classical Mexican Cinema: The Poetics of the Exceptional Golden Age Films. Austin: University of Texas Press, 2015. RICHARDS, Keith John. Themes in Latin American Cinema: A Critical Survey. Jefferson: McFarland, 2011, pp. 7-13. RONY, Fatimah Tobing. The Third Eye: Race, Cinema, and Ethnographic Spectacle. Durham: Duke University Press, 1996. SCHROEDER, Paul. Latin American Cinema: A Comparative History. Oakland: University of California Press, 2016. _____. "Latin American Silent Cinema: Triangulation and the Politics of Criollo Aesthetics". In: Latin American Research Review, vol. 43, n. 3, 2008, pp. 33-58. SERNA, Laura Isabel. 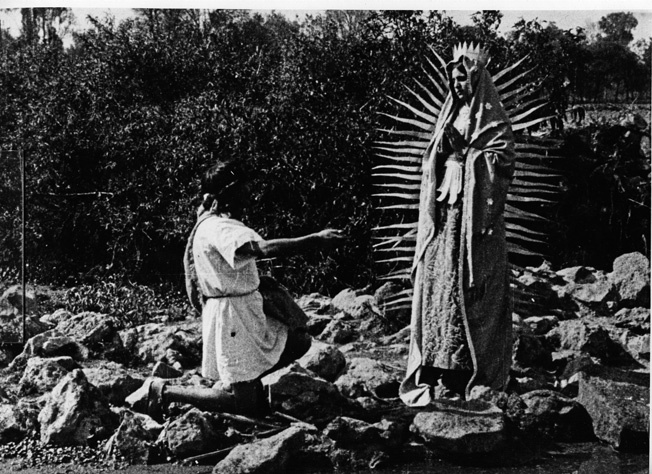 Making Cinelandia: American Films and Mexican Film Culture before the Golden Age. Durham: Duke University Press, 2014. SHOHAT, Ella and Robert Stam. Unthinking Eurocentrism: Multiculturalism and the Media. New York: Routledge, 1994. STAM, Robert. "Cabral and the Indians: filmic representations of Brazil´s 500 years". In: The New Brazilian Cinema. Lúcia Nagib (ed.). London: I.B. Tauris, 2003, pp. 205-228. _____. Tropical Multiculturalism: a Comparative History of Race in Brazilian Cinema and Culture. Durham: Duke University Press, 1997. WOLLEN, Peter. “Cinema’s Conquistadors.” In: Ginette Vincendeau (ed.). Film/Literature/Heritage: A Sight and Sound Reader. London: British Film Institute, 2001, pp. 19-23. WOOD, David M. J. “Cine mudo, ¿cine nacional?” In: Claudia Arroyo, James Ramey, Michael Schuessler (eds.). México imaginado: Nuevos enfoques sobre el cine (trans)nacional. México D.F. : CONACULTA and UAM, 2011, pp. 29-52.